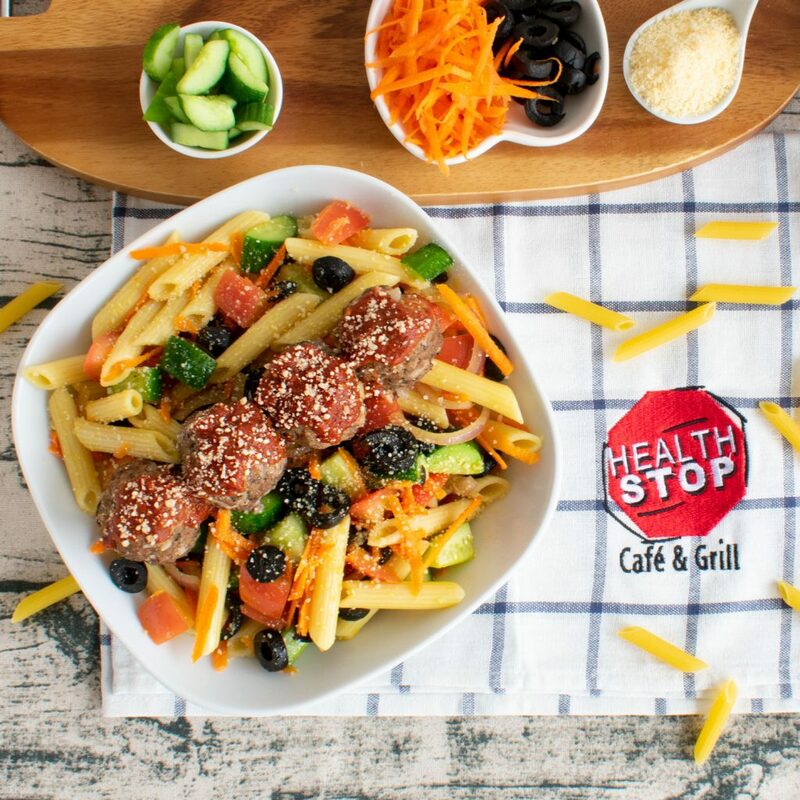 Lean meatballs top a delicious mixture of penne pasta, tomatoes, olives, cucumbers, carrots and olive oil. 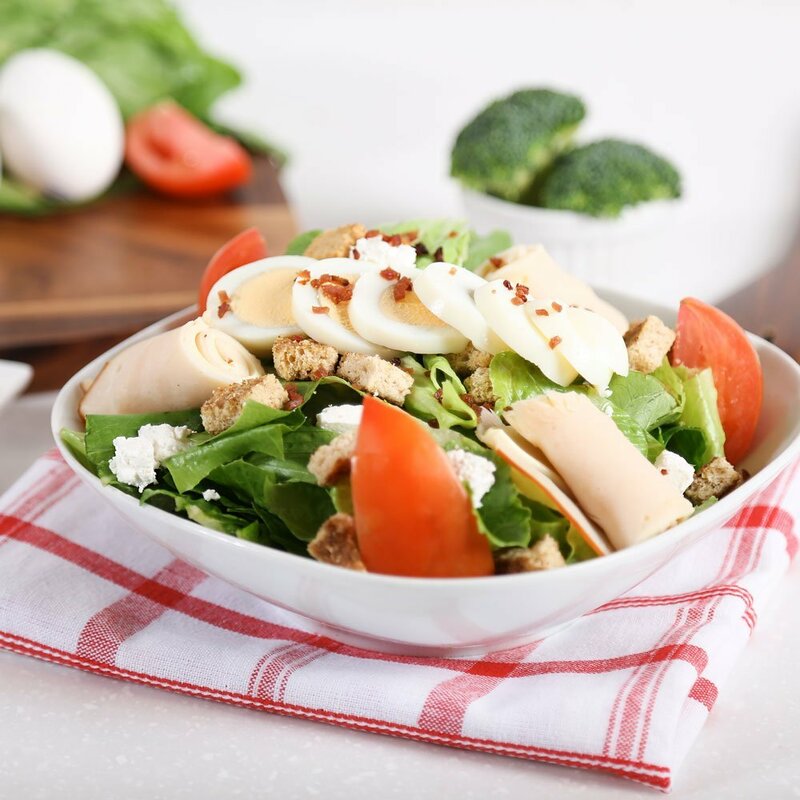 A satisfying mix of lettuce, tomato, grilled croutons, feta cheese, eggs, bacon bits, tantalizing sliced turkey wrapped with low-fat cheese. 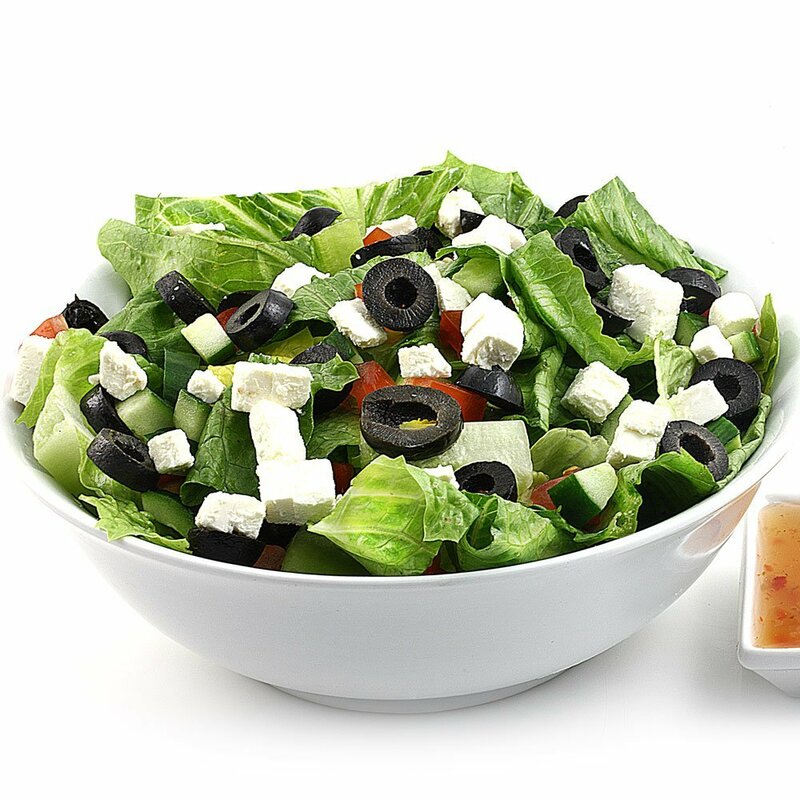 A delightful mix of fresh crisp vegetables, lettuce, tomato, cucumber, black olives and feta cheese served with your choice of dressing. 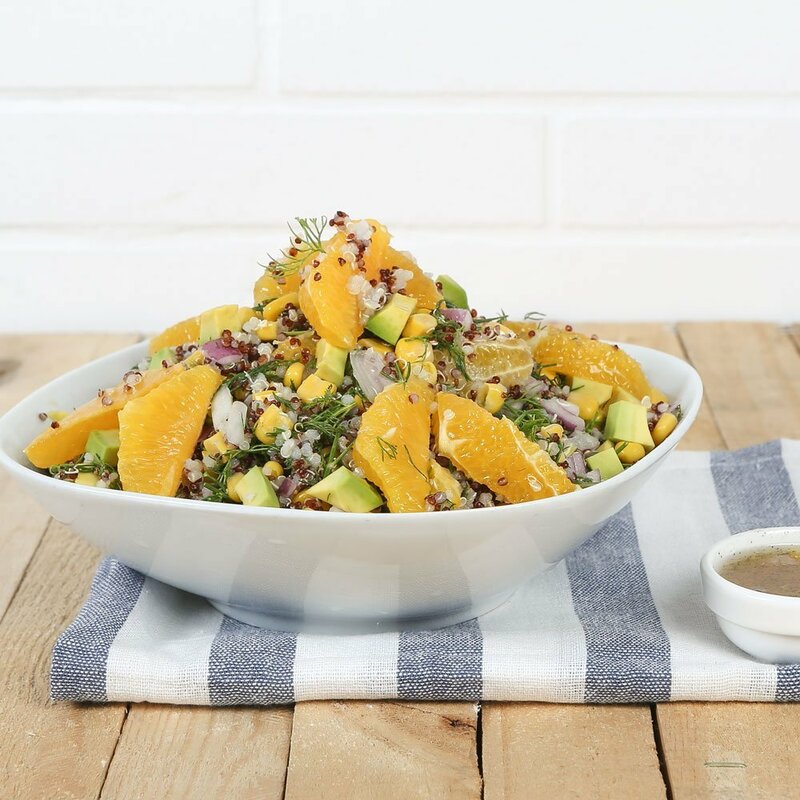 A hearty mix of quinoa seeds, avocado, oranges, sweet corn, onions, dill and our special homemade secret dressing. 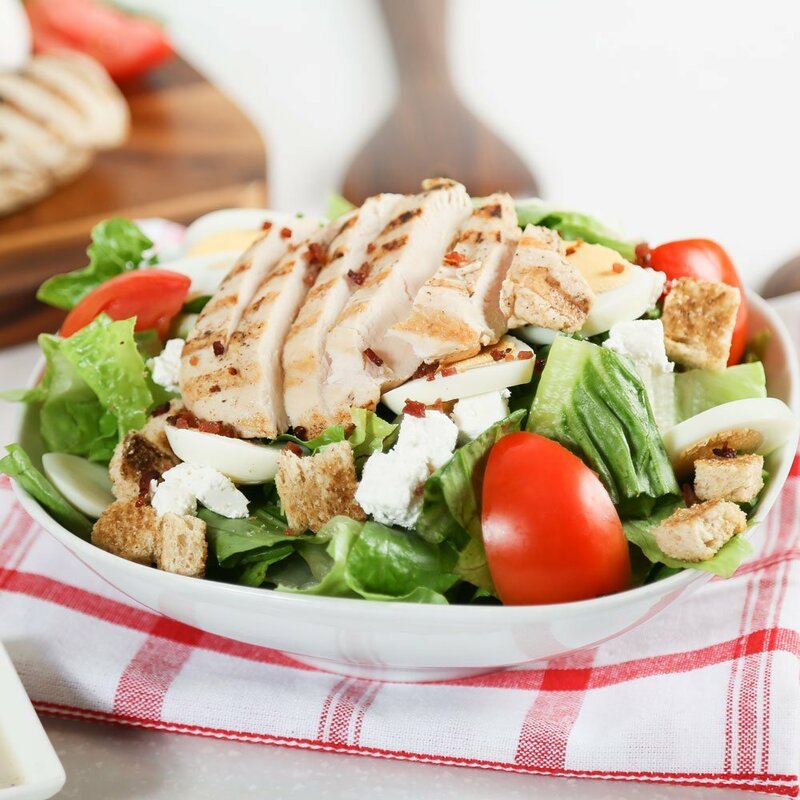 A satisfying mix of lettuce, tomato, grilled chicken, croutons, feta cheese, eggs and bacon bits served with ranch dressing. 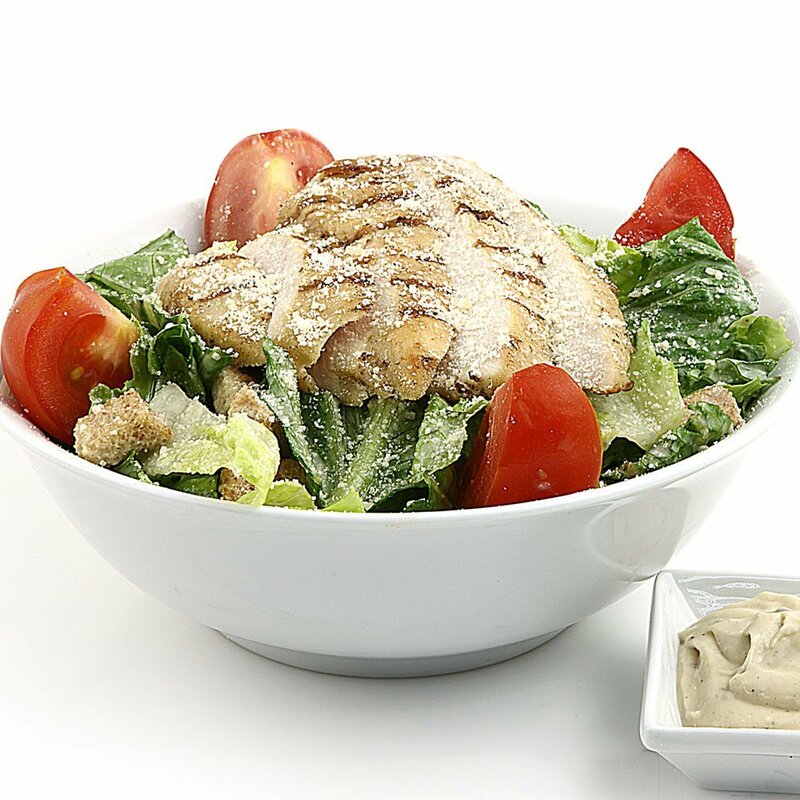 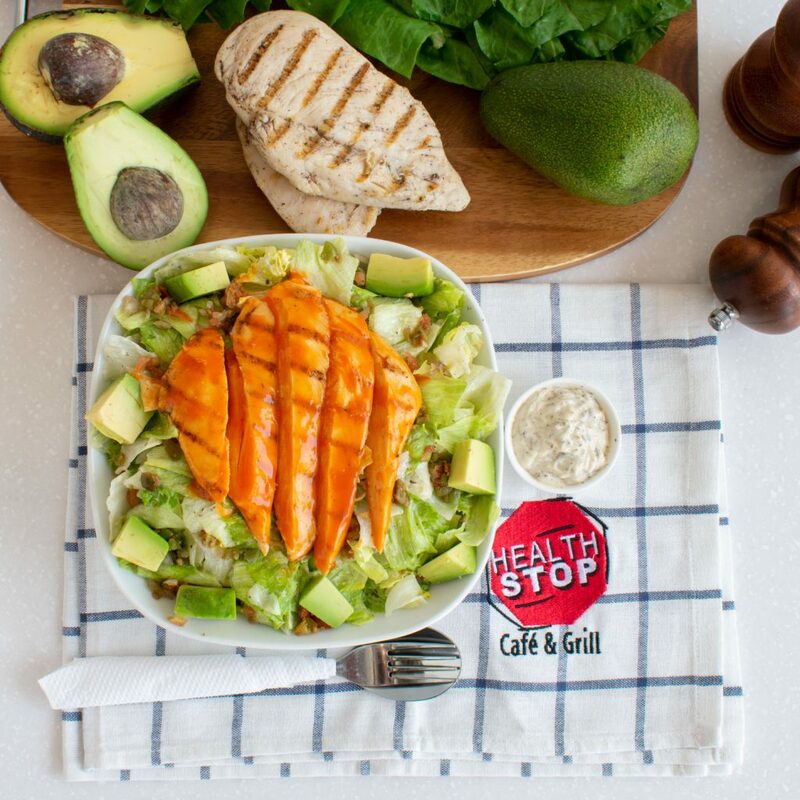 A delicious combination of lettuce, grilled chicken, tomatoes, croutons and parmesan cheese tossed with our light caesar dressing.